Like Cunliffe, Fagan is an archaeologist with a gift for addressing the layman. 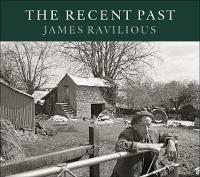 Eric’s son James spent his working life photographing rural Devon. This is a splendid selection of his superb work, mostly photographed within a ten mile radius of his home. An extraordinary record of a vanished way of life, and demonstrating a rare intimacy with his subjects. 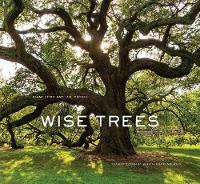 Extraordinary trees around the world, and their impact on neighbouring humans. Stunning photographs and interesting captions. A mad-cap dash in a battered van around Britain to find all 53 native species of orchid. Leif, needless to say, is a budding botanist with a growing reputation for going out on a limb. A memoir by one of the best of contemporary nature writers. Especially interesting are his tales of Gavin Maxwell and Kathleen Raine et alia. Legends and history of the owl, as well as observations. From the author of the excellent ‘The Running Hare’. A re-issue of this thoughtful and entertaining little gem. Just the thing to beef up a stocking. Apparently cows play hide and seek. Henderson, author of the marvellous Book of Barely Imagined Beings, recommends only curiosity and stubbornness as the means to render the familiar astonishing. An ambitious book that draws on philosophy, natural history, art, religion, neuroscience and nanotechnology by a beguiling and erudite author.